Please read our updated article explaining tax benefits on home loan. Most people would tend to agree with Einstein, as tax related calculations & rules are complex, intimidating and difficult to understand. At the same time, it is imperative to understand the essentials of tax law to claim all possible benefits. Here we will attempt to explain tax deductions that an individual can claim on his outstanding home loan. Many of you may already know that any loan should be repaid to the bank in equated monthly installments (EMIs). Each EMI consists of both principal and interest parts. i.e., EMI goes towards paying the principal and the interest amount. You can claim deductions on the amount paid towards principal component up to ₹ 1 lakh under Section 80C and on the interest component up to ₹ 1.5 lakh under Section 24 for a self occupied house. For those who are planning to buy a home this year, tax exemption on home loan interest payment has been increased by ₹ 1 lakh in the recent budget. This is in addition to the existing exemption of ₹ 1.5 lakhs. In total, this year you can claim a deduction of ₹ 2.5 lakh for interest paid on your home loan. How will you know what amount of money you are paying as EMI is going towards principal repayment and interest repayment? Well, the bank gives you a detailed statement in this regard; or alternatively you can also check this with online EMI Calculator and can see the same information under the EMI payment schedule. From the schedule, it is clear that your repayment in the beginning goes more towards interest and then it decreases gradually. On the other hand, the principal component increases gradually. 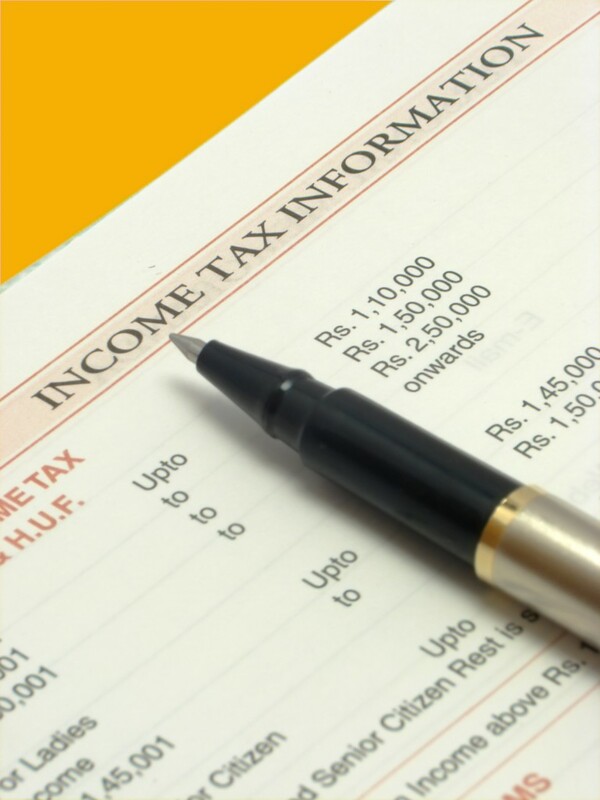 This information, which is available in payment schedule, is very useful while filing your tax returns. Along with this basic knowledge of tax deductions on home loan given above, few other not-so-familiar facts are presented below. First and foremost, in order to claim the tax benefits, you will need to be the owner of the house. If your spouse is a co-borrower of the loan, then he / she can also claim tax benefits. If you purchase an ‘under construction’ property, then you cannot claim the benefits until the construction is complete and you get the possession certificate. Once you get the possession certificate, the interest component of the pre-EMI is aggregated and deduction is allowed in five equal installments beginning from the year in which the construction is completed. Stamp duty and registration charges are deductible under 80C but only in the year of purchase. Processing fee cannot be claimed under 80C, but can be claimed as part of the interest after completion of construction/possession. Many borrowers who zealously buy a house for investment purpose may not know the fact that they do not get any tax benefit on principal component if they sell the home within 5 years of purchase. In short, selling the house within 5 years from possession will reverse the tax benefit claimed on principal amount. However, benefits claimed on interest part will remain intact. If you borrow a loan from your friends and family members i.e., somebody other than banks and financial institutions, then you cannot claim any benefit on the principal component of the loan; however, you can claim the benefits on the interest component which is up to ₹ 1.5 lakhs per year. If a loan is taken for extension or renovation of your own home, then you cannot claim any benefit on principal component under Section 80c. You are still eligible to claim the deductions for interest amount upto only ₹ 30,000 per year for a self occupied property. However, there is no such limit for tax deduction on a house that is not self occupied. In a recent ruling, Mumbai bench of the Income Tax Appellate Tribunal stated that taxpayers can claim prepayment charges on their home loan as deductible under the head ‘income from house property’ and could set it off against salary income. It noted that prepayment charges were similar to interest paid on the loan and allowable as deduction from house property income. Apart from the above cases, tax deductions vary based on when you get possession of your house, whether the house is self occupied or not, whether the owner lives in the same city or not, whether its his / her first or second house etc. Spend necessary time to understand different aspects of taxation that pertain to you and consult a tax professional before borrowing a home loan. When you incur a debt, every penny saved is a penny earned. Tax evasion is a social evil, but claiming tax benefits is a skill.